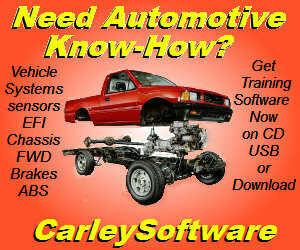 Automotive technician training is an absolute must these days to keep technician skills up-to-date. The technology in new vehicles is constantly changing, so there must be an ongoing commitment to training so technicians don't fall behind or make expensive mistakes. Many new car dealerships require a minimum of 8 hours of training a year for ALL technicians. For advanced diagnostic work, even more training may be necessary. Training includes taking online courses, attending training seminars and workshops, attending vehicle manufacturer and other technical schools, in-shop training, hands-on training, even reading automotive trade magazines and reading automotive technical articles. Achieving ASE certification is also important because it forces technicians to review their skills and study up on things they may not know or might have forgotten. The National Automotive Technicians Education Foundation (ASE's educational arm) certifies education programs that meet NATEF criteria. Over 1400 secondary and post-secondary training programs have achieved NATEF certification. So if you are looking for advanced training, visit NATEF's website for a list of schools and locations in your area. NATEF's phone number is 703-713-0100.